This short video shows how to prepare your backpack for a flight so that it doesn't get damaged. Flights are one of the most common reasons why backpacks break. We have been travelling 10 years in 80 countries, and this is how we have made our backpacks last the ordeal. We crossed again the big pond by ship, this time from London, UK to Boston, US. Our ports of call included France, Ireland, Faroe Islands, and Iceland. They were a welcome change for Spanish cities which are usually the main stopping points on Transatlantic routes. We had earlier passed by Germany several times but never stopped. Somehow the country hadn't attracted us so much because we thought it would be pretty much like Finland. But we had heard many good things about the southern part of the country, Bavaria, and when we were offered a cat-sit there, we thought why not. 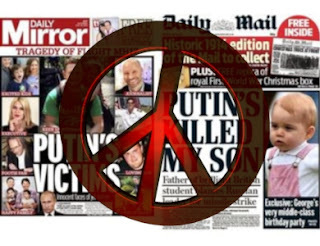 To help the world move one step closer to world peace, there is something we all can do: question the black-and-white media in their search for scapegoats. This questioning can start simply by asking what lies behind their stories—where do they get their information from and whose interests are they defending? The only trustworthy source of information are people whose lives are affected by the current world politics, those who live in Ukraine, Russia, and other related areas; those who experience these events first hand and will suffer most from the consequences. Peace cannot be made by searching for someone to blame. Peace is made by people who strive for mutual understanding instead of conflicts. We hadn’t visited the tiny Central European countries of Luxembourg and Liechtenstein before. This time they were on our way from Brussels to Bavaria, Germany, so we ticked them off on our country list. 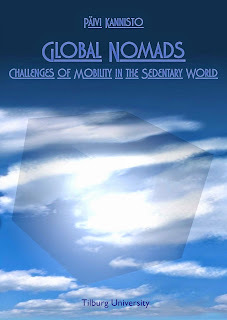 Download PDF | Official download | Speech | Suomeksi In 2010, Päivi interviewed thirty global nomads, location-independent travellers who are wandering the world without a home, permanent job and the proximity of their friends and family. The project resulted in two nonfiction books (one in English and the other in Finnish), and a thesis on travelling lifestyle that Päivi defended in mid-June. We stopped by to see friends and family in Finland in May-June. This was our third and also the longest visit (1,5 months) since our journey began in 2004. We had more time to observe and reflect changes that had taken place in the country. Flying is not the only economic option for intercontinental travel. One can hitch-hike or volunteer to work on sail boats crossing the ocean, or take a cruise like we did when leaving from Fort Lauderdale, Florida to Barcelona, Spain. We had the pleasure to meet some of our old friends and make new ones on our way from Guatemala to Costa Rica by bus. Having now been in all Central American countries and in some of them a few times, we are ready to move on to explore some other continent.